DIGITAL PROMOTIONS - Start Promoting Your Business BEFORE Your Competitor Does! Contact the Chamber at (806) 761-7000 or email info@lubbockbiz.org to learn more about promoting your business through these avenues. Looking for ways to promote your business? The best business-to-business network in town, the Monday Memo reaches over 5,000 Chamber members weekly. The Young Professionals e-blast goes out to over 200 YPs in the Lubbock business community - this is a great group to target if looking to reach an age demographic between 25-40! 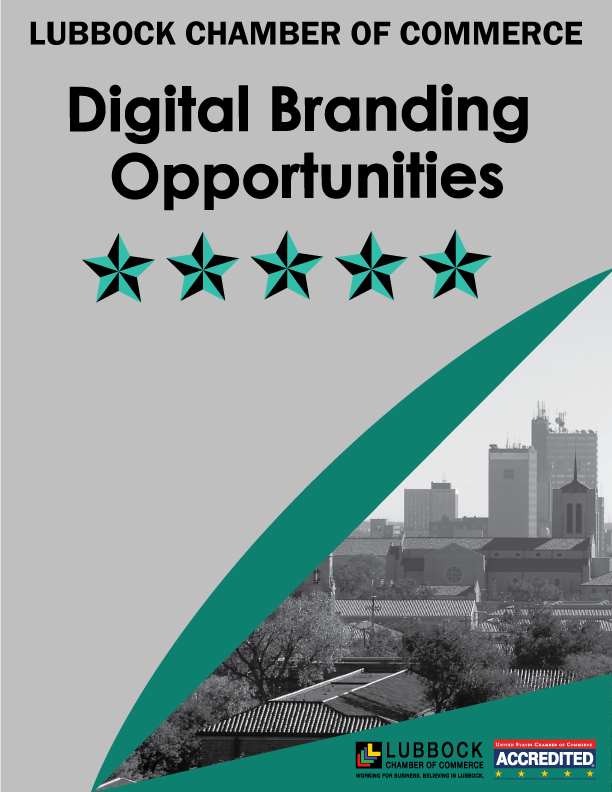 If interested in any of these opportunities please call the Chamber at (806) 761-7000. *NEW* Website Promotions - with an average of 24,000 views each month our website is the BEST avenue to reach potential customers and send them directly to your website! Monday Memo / YP E-blast Pricing & Sizes!